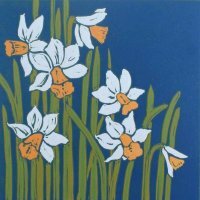 I am a fine art printmaker, living and working in Dorset. I create original, individually inked prints in limited editions of no more than twenty. 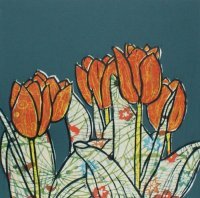 As a printmaker, I use a variety of techniques, particularly collagraphy, linocutting and monoprinting (please see 'Processes' for more information). My main source of inspiration is the natural environment and in particular, the world of plants. I use natural plant materials to create collagraph blocks, which result in highly textured final prints. However, not everything is suitable for such treatment and so I use reduction and multi-block lino cutting as alternative techniques to represent more complex structures. My most recent experiments have involved printing directly with pressed plant materials. "Beautiful images, I would happily live with all of them." 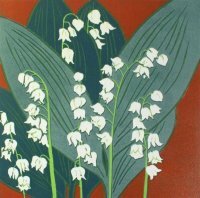 "enriching and nourishing to the soul"
"the outside inside – essence of nature in the prints themselves"
"Lovely vibrant work, really refreshing."